What gadgets do you bring on your vacation? Keep in mind we do the tour that is family friendly since I have a child ages 3. We traveled our baby when she was 2 weeks old for 10 hours on the road. We have no choice considering hubby has to go back to work on that week. We try to drive at least 5 hours a day and stay in the hotel were we could do some sight seeings and relax after the tour. Canon T1i- I have this camera since 2009 as our anniversary gifts.Hubby thought, its better to used DSLR of all my photos since I love flowers and actions photography.So glad he gave the best gift that I have a lot of used were I have a control over my camera's settings, demands shallow depth-of-field effects. If you ask me is if DSLR or a compact? Both has pros and cons. Canon EF 60mm macro- This is my walk-around lens with beautiful bokeh background pattern and used for flowers, small objects photography. I don't bring this on travel considering I have no time to change lens in public area and I limit my handbag carry because of my diaper bag and stroller. Sigma 18-250mm- my new baby toy but I have no time to use as of now. 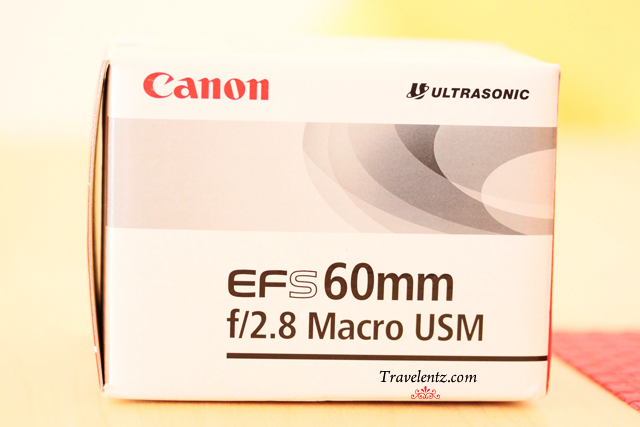 I sold my old canon 18-125 lens last month since I like to have all around type of lens. I hope this one will gives satisfaction with my picky eye.I was debating myself if I have to stick with canon but the reviews are pretty darn good compare to canon and the price is reasonable. My other choice was 24-105 lens and it was expensive, I just give this a try before I upgrade to "L" lenses. 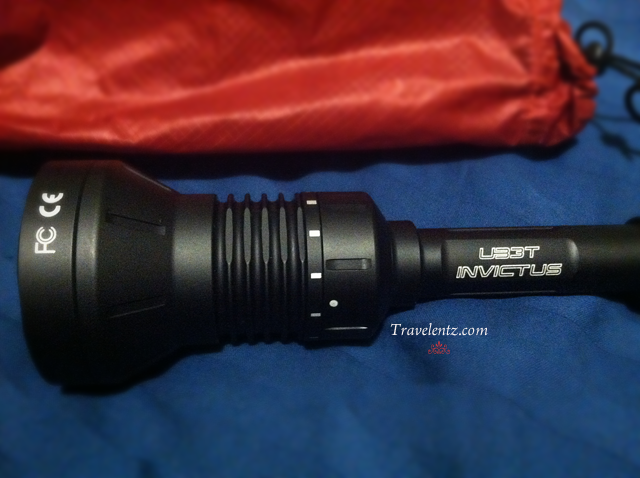 Surefire UB3T Invictus Flashlights- We bring this wherever we go, and we use it on our caving or if we go for a night walk. Hubby can't believed he spent this kind of flashlight but we got a lot of used on it. This could blind you if you focus on your eye considering it has its selector ring has eleven settings-eight levels of light, from 2 to 800 lumens. We have this surefire flashlights since 2011 and still good 'till this days. Garmin GPS-We can't live without GPS, our life and days is easier with this technology. I would say it's 98% accurate but we have a backup map in case something happen to the GPS. We don't buy a map we just stop in a welcome center and get one there. Ipad 3rd Generation- My daughter needs entertainment in a long day and we make sure we have something to her so she won't whine and asking every 5 minutes to eat or play with us. When hubby got his Iphone 5 he decided to give it to me but I don't have any interest at all so I gave it to my daughter and sold the ipad 1st generation.Now she's enjoying in he car seat taking pictures of herself,watching movies and playing some educational games. Apple Macbook (White)-I bring my laptop wherever we go so I can blog if I have a time. Though I can borrow my daughter's ipad but all the photos are stored in my laptop, good thing hubby is so nice with me to carry all my junk. 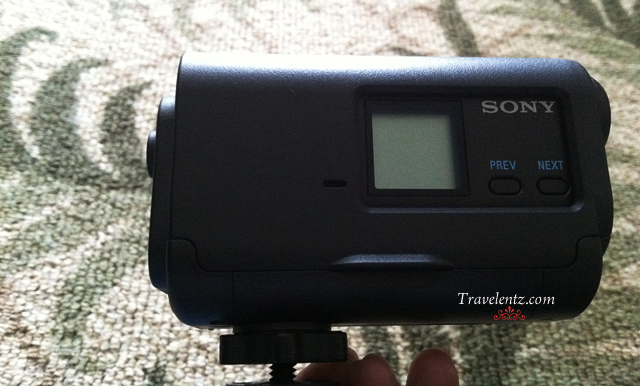 Sony- hubby loves to take video so he has his own toy and camera.He loves to take video on our vacation hopefully I know how to upload in youtube and edit the video. As of now I have no time to learn the videography. I ask some of his video but his too busy and forgot it.Just enjoy my photos as of now 'till I could share you my videos. I'm a person who doesn't post any personal photos in any social media or update my facebook every now and then, most of the time no one knew where we go except my family. I usually post after our vacation or don't post at all, but I just blog my travel experienced and share to social media (LOL). nice list Mhie, frankly, I do not have point and shoot since I use my cell phone for point and shoot since they do very well these days as a point and shoot camera. like you, i prefer using dslr whenever i could because of the room for creativity and allowing me to control the conditions when i shoot, i prefer to control the settings in the camera before shooting rather than spending so much time editing the pictures. Love your gadgets sis, no wonder your photos are always gorgeous! I always bring my point and shoot and my DSLR. We have the same GPS hehehe.. I also bring hubby's iPad and of course my cellphone. Wow you have numerous gadgets. When we travel we bring three necessary gadget: GPS, my sister's DSLR Cam and our phones. Before travelling we see to it that our GPS is already updated because one time we headed to wolves area (as stated in the signage,) directed by the GPS, instead of a gasoline station. That was really scary. I have yet to buy a video camera for the household. For so long, I am just relying on my digicam to do videos. I hope I can have one of those gadgets soon as it can really improve the images we provide in our blogs. you take great photos, Mhie. i am a fan! thanks for sharing about the video. i prefer taking photos than video but i think video is more fun, just that i also have yet to learn how to edit a video. The output says it all, Mhie. Having beautiful gadgets like the ones you own are perfect for you who simply loves photography. My 1 year old Canon DSLR haven't been used that much of late. I don't even know how to manipulate it. LOL! It's good to publish pics after your travels for security purposes. It's one of the things that we should safeguard and be cautious about. On top of my wish list. My wife digs photography eh. Yan, oks na sa amin. Cool gadgets you have there. Hubby and I loves photography. But when we travel, we only bring one DSLR with 16-105mm lens in it and a spare of 50mm. Then I still have digital camera which I often use for behind the scene videos. Naks may ganun. Oh by the way, we're Sony lovers. Yay! Those are cool gadgets to own Ate Mhie.